Justin Taylor recently interviewed C.J. 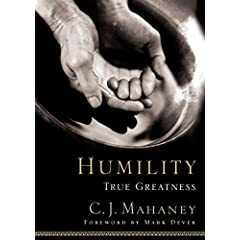 Mahaney about his upcoming book, Humility: True Greatness. Read through the interview — it will whet your taste buds for the book! But alas…we must wait for September 23rd when the publisher releases it. I’ve already preordered my copy from Amazon!